Nintendo’s line of near-field communication figures, amiibo, has consistently been making headlines since their debut late last year for their ability to sell out in the blink of an eye. Even the upcoming Super Mario line of amiibos set to release next month sold out on preorders the same day they were made available. That’s pretty impressive considering that they are essentially reissues of the most common amiibos from the Super Smash Bros line with less dynamic poses (with the exception of the Super Mario line exclusive Toad). This has made them the new hot-ticket item in a speculator boom as people rush to pick up the rarest amiibos and then resell them to desperate collectors at absurdly inflated prices. Many might think that amiibos will have their value increase over time like rare comic books and are a lucrative investment for the future. However, the truth is quite the opposite and consumers should exert much more caution in the business of buying and selling these figures at the moment. Let’s look over one of the most famous speculator booms in modern history, the comic book boom of the mid-eighties and early nineties, and consider what it tells us about the ongoing amiibo boom. The comic book speculator boom started when copies of classic comics, such as Superman’s debut appearance in Action Comics #1, began going for absurdly high prices. Stories of people getting thousands, sometimes millions, of dollars for comics that they bought for nickels as children became commonplace and hopeful investors flocked to comic shops expecting to one day see the same kind of return for popular titles. What people were neglecting with this boom was the vast difference in the market between the time those old titles sold and the present. No one ever expected Superman or his peers to evolve into landmark American icons and the comics they debuted in were only seen as simple children’s books in their time. Copies of these books were left to grow tattered and destroyed over time as their stars slowly grew more and more in notoriety. They became rare and valuable because no one expected them to become valuable. The comics released during the speculator boom, on the other hand, were so widely produced and preserved that their value never went up. This isn’t the only case of a sudden boom and bust, either. Baseball cards, Beanie Babies, and all manner of mass-produced collectibles have ultimately collapsed in on themselves after having a large rush for them. 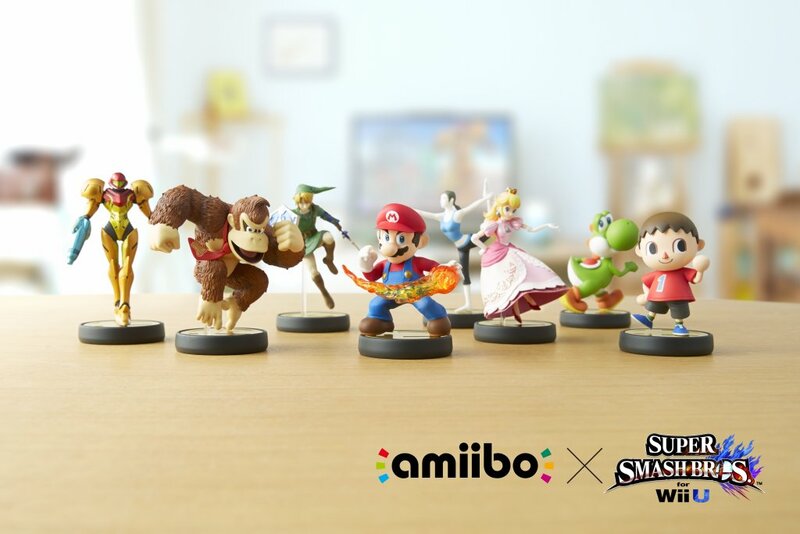 The amiibo boom is bound to burst just like the comic boom did before it. It’s all just a matter of supplies catching up with demand. Nintendo has been slow to release more copies of rare amiibos, but that’s only because it takes time to negotiate a new manufacturing deal even when the assembly lines for the figures are already set up. It’s not like Nintendo just has a room full of 3D printers and can produce more figures whenever it strikes their fancy. It will take time, but it will happen. Before this year ends, the amiibo sections in stores will go from barren wastelands to overstocked shelves like their predecessors, Skylanders and Disney Infinity, did. Conversely, if you are one of the lucky few to have gotten your hands on one of the bizarre defect amiibos that have popped up, that is something worth hanging on to. Defect figures like the double-cannon Samus and the legless Peach have higher value because they were never meant to be made. As such, they will never see additional production and will always be one-of-a-kind. Just remember to keep them mint in their boxes as that is a vital to their value. Not only does that increase their rarity, but it also eliminates suspicions that you just tampered with the figure yourself. Limited edition items, like the Majora’s Mask 3D Collector’s Edition, also go by a different set of rules. These are made with the intention of only having a limited run and are less likely to see further production. It’s not impossible for more Skull Kid statues, but you shouldn’t hold your breath over it. The amiibo figures are designed for mass production and the amount of demand that they have been seeing early on is going to result in more being put on the market. Nintendo has already stated in an official financial briefing that they are planning to address the scarcity of certain amiibos. If there is a rare amiibo that you’re interested in getting, just wait for the supplies to replenish and pick it up at a reasonable price. If you already have a rare amiibo and are willing to part with it, now is the time to sell while the iron is still hot. Just remember to see these toys for what really they are and don’t get too wrapped up in the current rush.